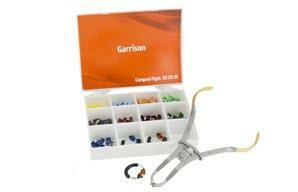 Garrison Sectional Matrix System - Tight Contacts Guaranteed! Top Sectional Matrix in Dental Advisor for 2019! Composi-Tight 3D Fusion™ is a next-generation sectional matrix designed to enable the creation of tight contacts in posterior composite restorations. The strong rings improve retention and fit to the tooth, with retention extensions anchoring the ring to prevent slippage and silicone tips that minimize and prevent flash. The full curve 3D Fusion matrices are naturally contoured to help achieve anotomically correct contacts and emergance profiles on Class II restorations. 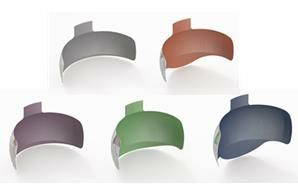 The colour coded non-stick surface ensures correct matrix selection and easy removal. 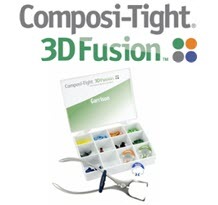 Composi-Tight 3D Fusion kit includes a short, tall and wide prep ring, 80 full curve matrices, 70 wedges and one pair of forceps. 3D Fusion wedges have Soft-Face™ technology: a rubberized material is fused to the firm plastic core so that the wedge gently moulds itself to root irregularities as you insert it providing an unsurpassed seal. The retentive fins fold in to allow easy placement of the wedge, but spring back out to help prevent it backing out of the embrasure. 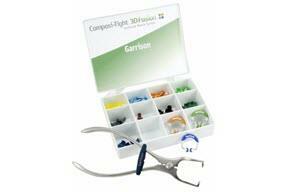 These ultra-adaptive wedges will help you produce your best, most predictable restorations ever. Top Sectional Matrix in Dental Advisor for 2019! 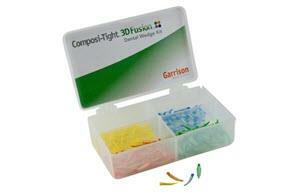 The Composi-Tight 3D Fusion is designed to enable the creation of tight contacts in posterior composite restorations. Composi-Tight 3D Fusion full curve matrix bands have an innovative design featuring a more radical curvature that allows the band to wrap further around the tooth. Two materials are fused together to produce the perfect combination of adaptability and retention. The soft fins collapse during wedge insertion but spring back when clear of the narrowest space - firmly locking the 3D Fusion Wedge in place. 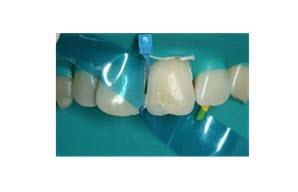 The Blue View™ VariStrip™ is a revolutionary contoured anterior matrix that provides the optimum curvature and band height for virtually every anterior restoration. 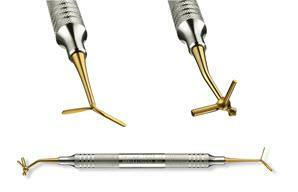 A five-in-one composite instrument! One end features two flat plastic type blades, and the other, an acorn burnisher with two pluggers. A convenient instrument that will help increase productivity. The system is made of three components: Separating Soft Face 3D & 3D XR Rings, sectional Slick matrix bands and 3D Fusion adaptive wedges. The orange Soft face 3D ring is most used because of its ease of placement and ability to adapt to most tooth anatomies.